Cheryl Oz has a Bachelor of Fine Arts degree from The College for Creative Studies in Detroit, MI. There she studied Art Direction and Graphic Design. She worked in advertising for over ten years as an art director, until she decided to follow her childhood dream of becoming an illustrator. She is a self-taught artist. Her work is a collection of colorful illustrations in her own contemporary style, mostly in watercolor and gouache, but also digital art. She resides in Michigan with her husband and their two beloved German Short-haired Pointers, and works from her home studio. In her free time, she enjoys spending time at the family cottage on Drummond Island in the Upper Peninsula of Michigan. A peaceful getaway that gives her much inspiration for her wildlife and nature illustrations. 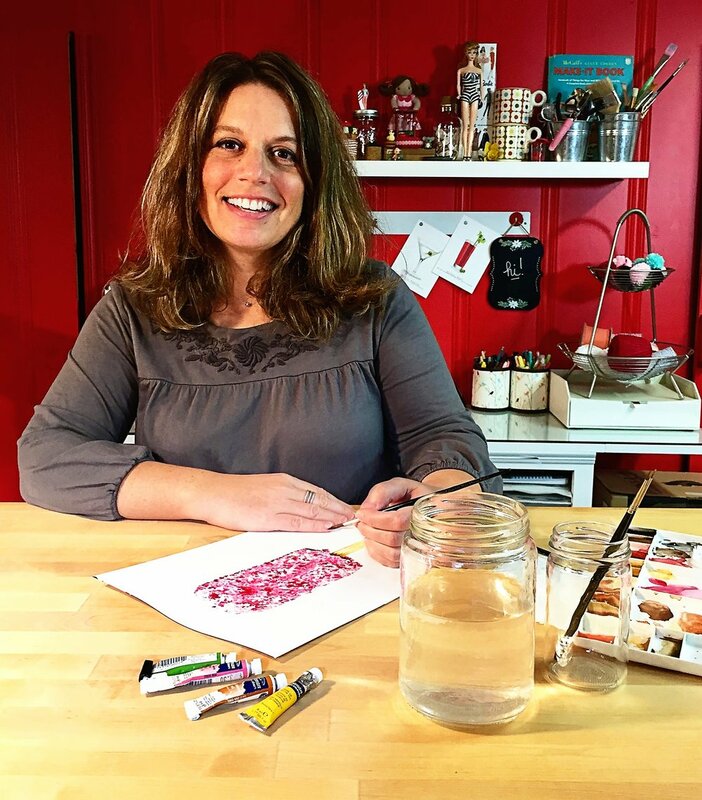 You can also find her work online at her Etsy shop, where you can purchase her cards, archival prints and seasonal products. "Happiness for me is creating, and if my art makes someone else happy that is truly the ultimate reward."